Debra Spencers Pomegranate is a trick-or-treat bagfull of surprises and delights. Maybe if Edna St. Vincent Millay had grown up in the San Fernando Valley in the sixties, and Santa Cruz in the seventies and beyond, she would have written such poems. The voice is playful, pure, wry, passionateat once commonplace and hilarious, dreamy and familiar. In Pomegranate, youre in your old neighborhood, but all things are possible: little girls might decide to be boys; 300 pound men might dance like weightless angels; parents of teens will act like young lovers; and just maybe Clint Eastwood is Stan Laurels son. What will the beggar say? How will the commune turn out; where will the hitchhiker lead you? 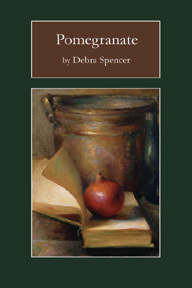 In A Man Comes to the Middle of His Life, another California poet, Dennis Schmitz wrote: We weep for our strangeness. In Debra Spencers Pomegranate, we are gloriously strange, but we do not weep. Debra Spencer invented her own alphabet when she was three. 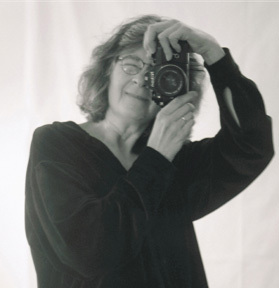 She wrote her first book in the second grade and went on to earn a BA from the University of California at Santa Cruz in 1972 and an MA from San Jose State University in 1988, where she won the Anne Lillis Memorial Scholarship for Poetry. In her desk she keeps a Bart Giammati baseball card, a fossilized sharks tooth, the tuning key to an Anglian harp, and a piece of the Berlin Wall. She works at Cabrillo College as a learning disabilities specialist, and sings with Community Music School of Santa Cruz. Pomegranate by Debra Spencer. September 23, 2004.